In May 1981 a group of eager volunteers rallied by the leadership of the Denver Lions Club gathered in the back room of the then "Union Station" Restaurant. They gathered to discuss the possibility or organizing a community fair. From that meeting the Denver Community Fair was born and by September of that year the first annual Denver Community Fair was held. The first Denver Fair was a two day event, Friday and Saturday with a special "sneak preview" on Thursday evening prior to the opening of the Fair. On Friday evening a parade ws held. It was followed by the Younger Brothers Band performing from a flat bed truck placed in the Denver Memorial Park. An admission fee was charged at the first Fair. Organizers were over-powered by the crowd of 5,000 people who got tired of waiting in line to gain entrance to the Fairgrounds, the people charged at the gates in several locations and broke down the fences surrounding the Park. When planning and organizingtje first Fair the committee was in need of a ride and amusement company. In desperation the committee resorted to the yellow pages in the phone book and found Oscar's Amusements Co. Inc. from Birdsboro listed. the Denver Fair Committee and Oscar's have prospered together since the Fair's inception and still have a great working relationship. The first Denver Community Fair featured a sheep show, an arts and crafts show, entertainment, contests, 7 rides and 22 game and food stands. A special contest was held that year that was exclusive to the Denver Fair, a turkey chase. The contest was a failure. When the turkey was released it did not run but sat down. It ended up on the bottom of a pile of hundreds of participants. The first Fair was a learning experience, but proved to be a huge success and it was agreed to form the Denver Fair Committee, a sub-committee of the Denver Lions Club. This committee would be comprised of Lions Club members and other community volunteers. Irvin Weaver Jr. was appointed the President of the Denver Fair. Irvy, who was considered the founder of the Denver Fair, was President from 1982 to 1985. In 1990 the Denver Fair Committee filed an application with the State of Pennsylvania to become a non-profit corporation. 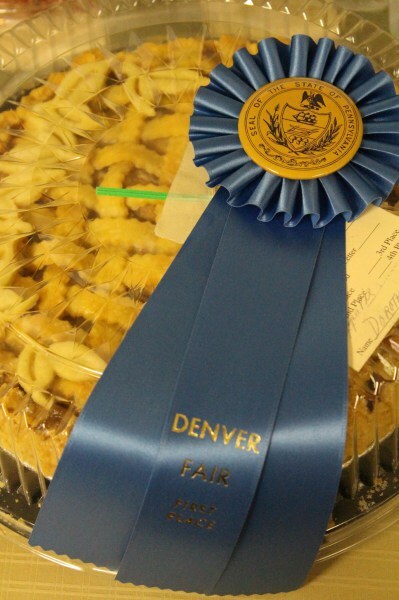 The Committee separated from the Denver Lions Club and formed the Denver Fair Committee, Inc. 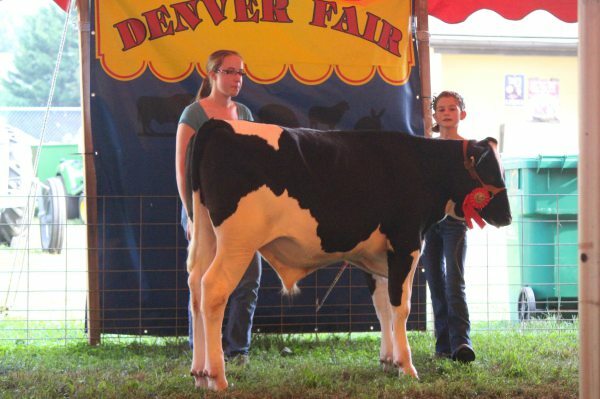 The Denver Fair Committee is a volunteer non-profit organization of over 50 members. The committee was under the direction of Randy Eshleman as President from 1985 to 2007. Randy took over after Irvy Weaver passed away. The Fair is currently led by President Dennis Worley who replaced Randy in 2008. In 1994 the Denver Fair Committee received a special honor when Miss Denver Fair, Beth Paul, of Reamstown was crowned the Pennsylvania State Fair Queen. Beth represented the State and Denver by visiting many special functions and fairs throughout the state. The Denver Fair Committee is actively involved in the community. The Denver Fair has hosted Denver Day in the past and organized the Memorial Day celebrations. Since 1982 the Denver Fair has invested over $200,000 in the Denver Memorial Park. Most noteably constructing a new restroom facility in 1992 and reconstruction of the stage facility in 1993. Annual scholarships are awarded to Cocalico High School seniors based on their service to the community. Each year a lucky high school senior is crowned Miss Denver Fair. The Fair has grown tremendously over the the years and is now a five day event always held the first full week after Labor Day week in September. 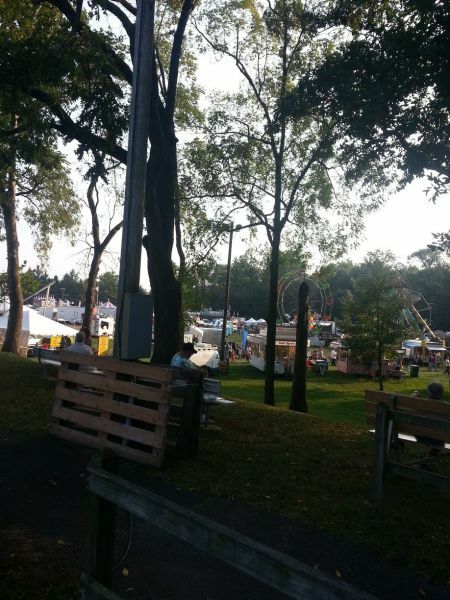 The fair now attracts over 80,000 visitors from throughout the state of Pennsylvania. The Denver Fair has been a free admission fair since 1983 and includes over 25 amusements rides, 100 food and game concession stands, free entertainment, contests and more. The was at one time a parade held on Wednesday evenings which included 150 units of bands, floats and others. The parade was discontinued several years ago. 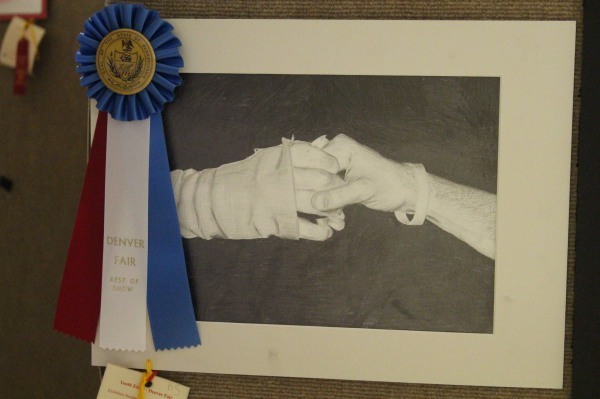 The Denver Fair has been know for its innovatitve contests. Some contests past and present include: Boy George (singer) look-alike, Jello eating, donut eating, outhouse races, giant peanut scramble, candy scramble, celebrity cheese steak eating, celebrity Wild Wings eating contest, the smelly sneaker contest, and the infamous "Cow Chip Poker" contest. The Denver Fair received much publicity when it introduced Cow Chip Poker to the area. In the contest the person purchased a 3'x5' numbered plot of land; there was a total of 100 plots of land. On Saturday morning a cow was allowed to roam the 100 plots. The first plot that was "fertilized" was selected the winner. Entertainment at the annual Fair included professional music groups, exotic animals, petting zoos, talent shows, and fireworks. Special attractions have included helicopter rides, 75' bungee jump tower, and monster truck rides. Exhibits at the Denver Fair include fruits, vegetables, hay & grains, flowers, canned goods, baked goods, arts & crafts, and many more. We have special exhibits for elementary aged children to grow their own pumpkins and flowers. These exhibits are titled the Pumpkin Patch and Flower Patch contests. The Denver Fair continues to grow and evolve but has become a permanent fixture in Denver's history. The Denver Fair is an opportunity for hundreds of volunteers to come together for one week to exhibit and showcase our community.